Beach on Fire. 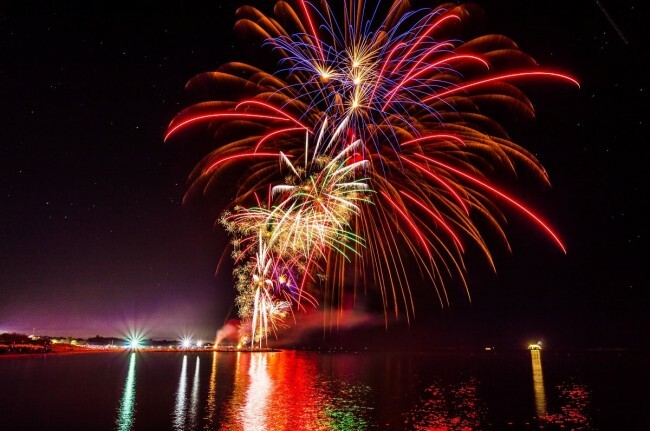 More than six thousand fireworks are shot from twelve locations in perfect synchrony along the thirteen miles of shoreline in the sky to create an overwhelming sequence of effects and color effects. Everybody looks toward the sky, young or old, to experience the magic of this event, which is unique in the world.